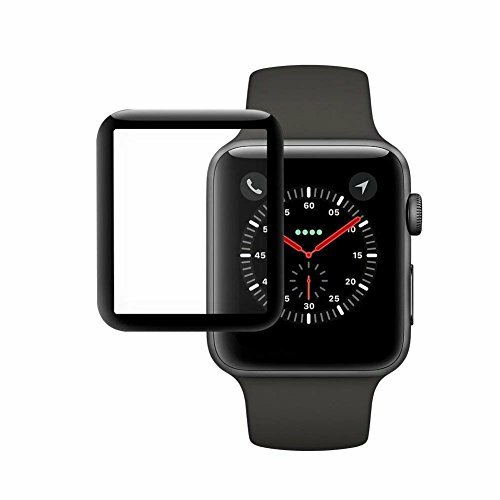 Full coverage edge to edge protection - Protect your entire Apple Watch screen from drops and scratches to the very edge from curve to curve. Shatter proof - Made to resist shattering when dropped.Real Touch Sensitivity for a natural feel that provides flawless touch screen accuracy. Smudge resistant - Fingerprint repelling and easy to clean with microfiber cloth included in package. NO bubble installation - Simple for anyone to install.High quality antistatic adsorption film ,make the product bonding and separation simple,easy to operate. If you have any questions about this product by Zyee, contact us by completing and submitting the form below. If you are looking for a specif part number, please include it with your message.